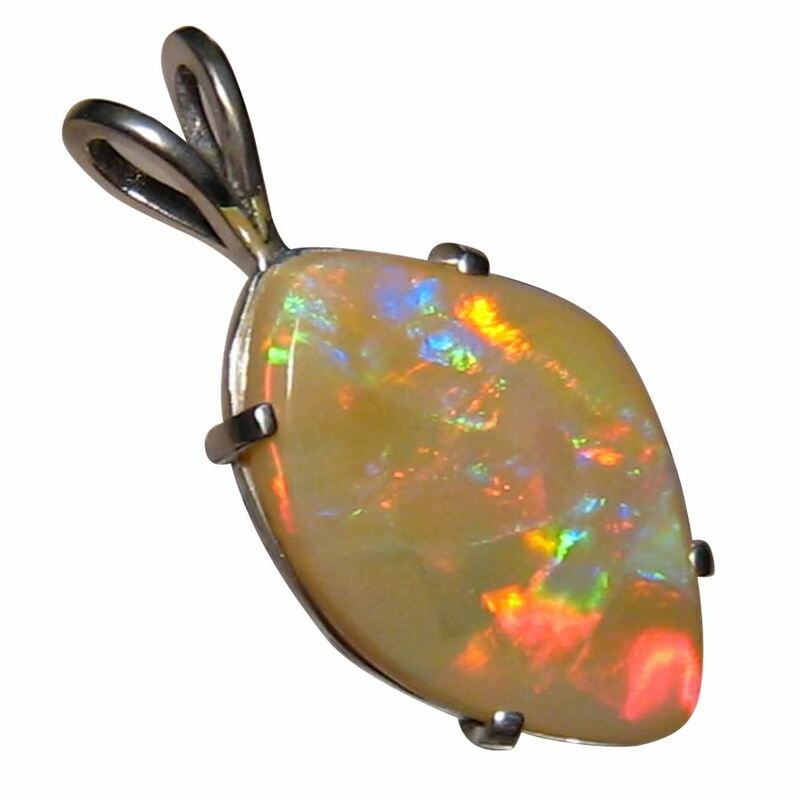 A big semi Black Opal pendant showing bright colors in a fabulous pattern set in 925 Sterling Silver. In stock and ready to ship. 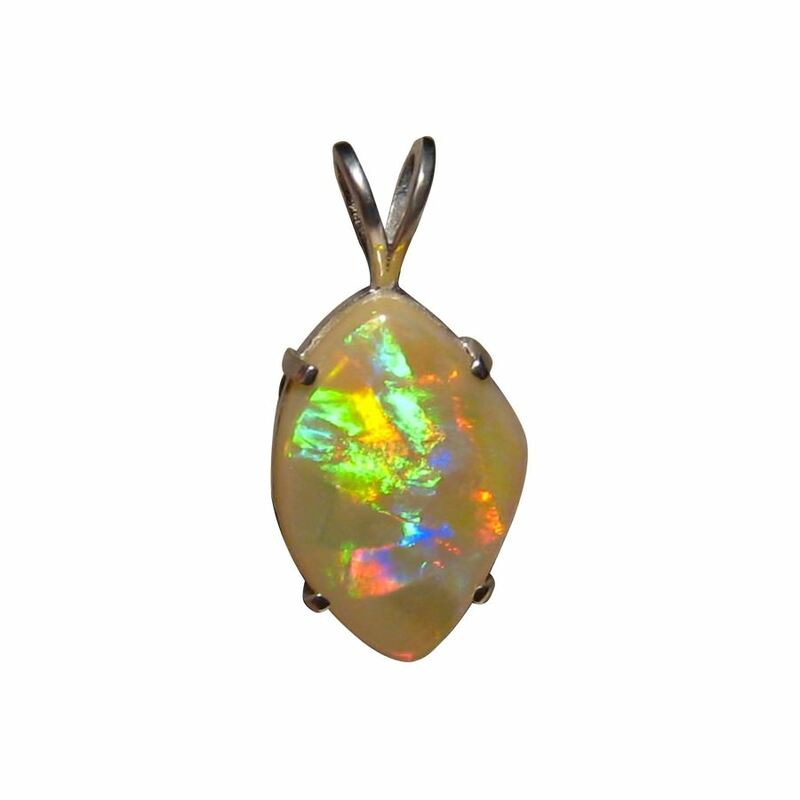 This Opal pendant is big and is prong set with a free form Semi Black Opal from Lightning Ridge. 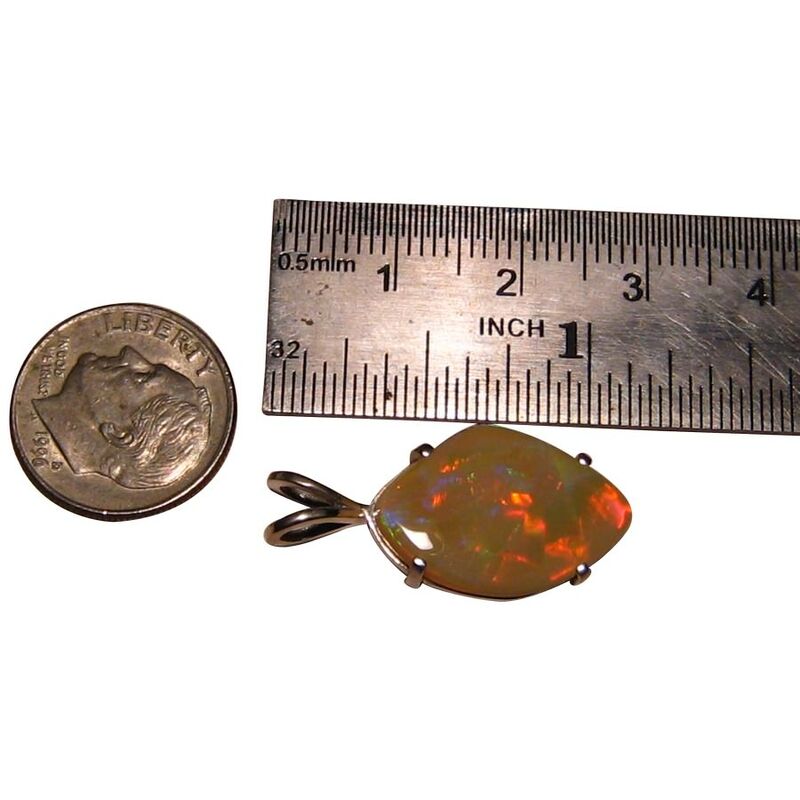 The Opal weighs just over 6 carats and flashes a mix of Red, Blue and Green in a Ribbon Harlequin play of color that you will see in the video below. The pendant measures over one inch long and with the bright colors, is sure to be seen when worn. It is ready to ship now but does not include a chain.